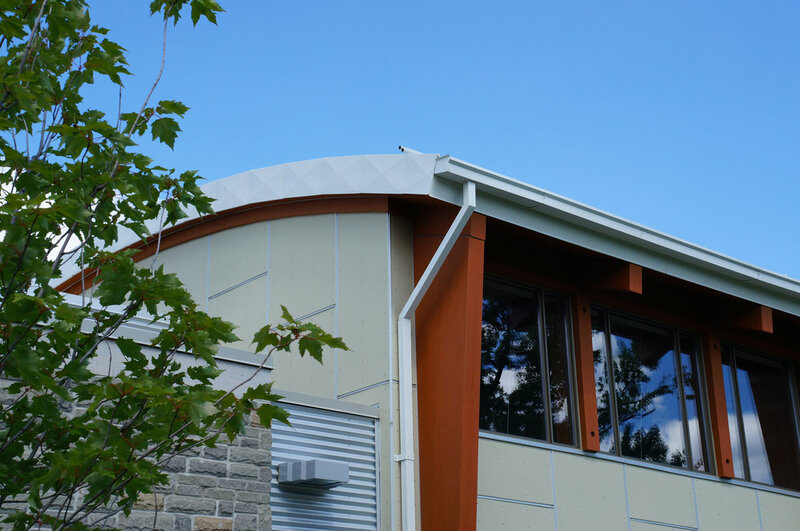 This project for the Puslinch Branch of the Welling County Libraries involved replacing an existing building with a larger, better appointed facility. Recognizing the important civic role a library plays within a community, the successful competition entry was developed into a comprehensive design through careful refinement of spatial requirements, material selection and cost control. The $1.5 million, 5,600sf fully accessible facility capitalizes on daylight, and features a living roof to contribute to energy savings. 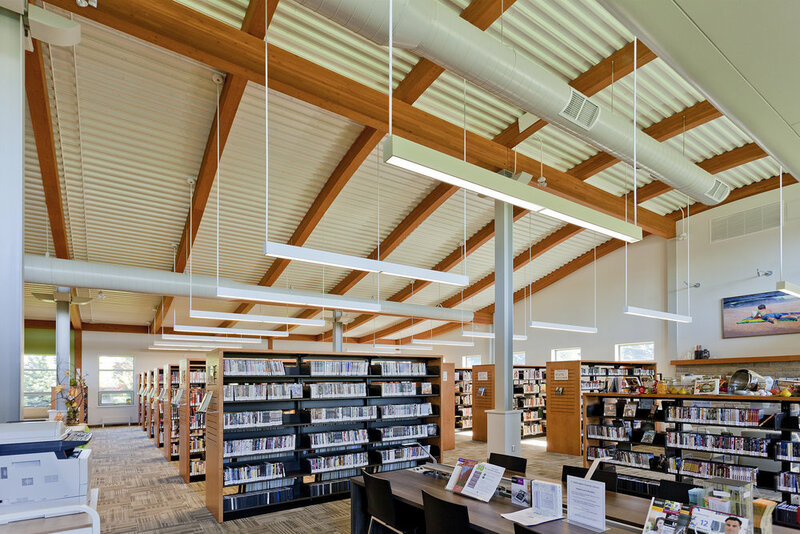 The interior is host to open-concept collection spaces, a comfortable reading lounge, a flexible community room, as well as space for the Puslinch Historical Society.